The following is my contribution to Eclecticali’s Masquerade Ball blog party. I confess; I’ve been terribly confused about the whole thing. But Allison (Eclecticali’s actual name – I’m not referring to myself. I’m not that weird) assured me that I couldn’t mess it up, so here goes. It’s the first part of a longer story. I have no idea how many there will be. James stepped out of the carriage and the driver pulled away; the wooden wheels created a rhythm on the cobblestone path. He stood before the elegant house – a mansion, really – and tried to take in its details: tall, stone columns, trimmed topiaries, everything lit by hundreds of candle flames. The place was so captivating he nearly forgot he didn’t want to be here. It’s your turn, his older brother, William, had said. His family was friendly with Taliana’s, but just barely. His mother had gone to finishing school with Taliana’s, but their fathers had experienced a falling out years ago. These annual masquerades were the last strings holding their mothers’ friendship together, and because James’ father wouldn’t allow his wife to attend, the task was left to the sons. Their mother had insisted on it. James ascended the steps leading to the French, glass-paned doors, which servants opened for him. 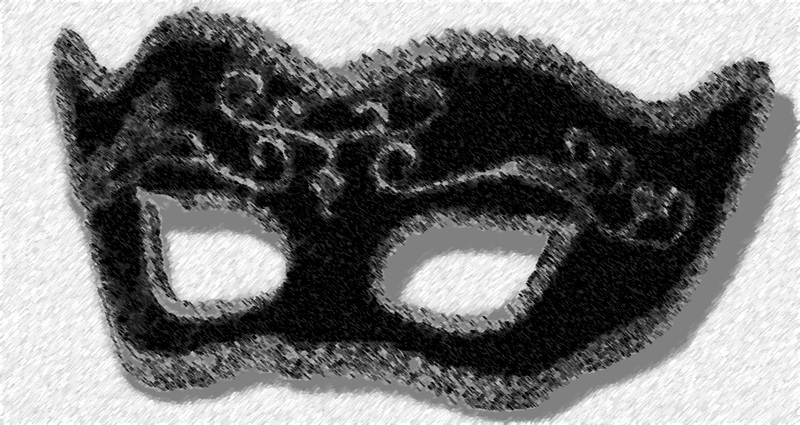 He stepped into the vast foyer, holding his simply decorated mask at his side. The thing made him feel claustrophobic; he vowed to wear it only if he had to. He ran a hand through his curly hair and followed music, leading him to the ballroom at the back of the house. Just make an appearance and get out, he told himself. William had attended the masquerade ball in previous years, solely because James was too young to go. James turned sixteen this year, which William must have thought was old enough to attend a fancy event without the threat of embarrassing the family. Plus, William had a fiancé now. No point in him going to masquerade balls to interact with single girls, as if that was something James wanted to do. The ballroom was a sea of eloquently dressed people, their attire so precise that James felt out of place in his simple suit. Each person seemed to be dressed to a theme. They wore their masks, so James pulled his over his eyes and stood near the edge of the room. Not wearing the gaudy thing would make him stand out, and attention wasn’t something he sought. “James, is that you?” a female voice said from behind him. He turned. He recognized Taliana immediately in spite of the fact he hadn’t seen her in at least two years. Her auburn hair was pulled up, but strands of it had fallen loose, draping over the shoulders of her black dress with gold weaving. Her dress perfectly matched the ornate mask she wore. James would have said hello, but his gaping jaw wouldn’t allow it. She must have noticed, because she giggled. “Come on. Let’s have some fun.” Grabbing his wrist, she pulled him to the middle of the room. I’m not here to meet girls, especially girls I already know, he tried to tell himself. It wasn’t just the thought that Taliana was a family friend that disturbed him; it was the fact that she was three years older. William’s age. She could be engaged, for all James knew. He scanned the room for her possible beau. She stopped near a girl wearing a red dress and an equally red mask who looked closer to James’ age. Rose lifted her hand out to James, knuckles out, like she wanted him to kiss it. She scoffed and stomped to the side of the room, where she stopped a servant carrying a tray of hors d’eouvres. Taliana took off her mask and stared at James. Her emerald eyes sparkled in the candlelight. “That was rude,” she said. Taliana put her mask back on and shook her head. “I need to check some other rooms. When I get back, I’ll introduce you to more people, and now you know what you expect.” She shoved his shoulder, like a big sister would, and walked away. He watched her leave the room and stood in place for three seconds before he decided to follow her. No worries, Alli-not-Alli, I have no idea how many entries I’ll wind up with either. 😛 My characters just pulled a switch-a-roo on me, that will either wrap this up shortly or prove to be the beginning of my “real” adventure in the house. Taliana took a breath as she stumbled out of the room. Shaking her head she took a moment to have another go at the threads, with this Author she was at least able to see the patterns, strangely twisted though they were. The green thread continued, and Taliana followed it down the hall, somewhat relieved that it wound its way to one of the rooms she was familiar with. There were people here she was supposed to connect with, after all. Friends of the family, people she’d grown up with. Chasing this mysterious cloaked man was important — she felt that in her bones — as was keeping the threads untangled and the weaving correct. But her mother and father would be fairly disappointed if she didn’t appropriately play hostess to their guests that didn’t come from other worlds. The green thread lead into the grand ballroom, and Taliana began to wade her way through the crowd.